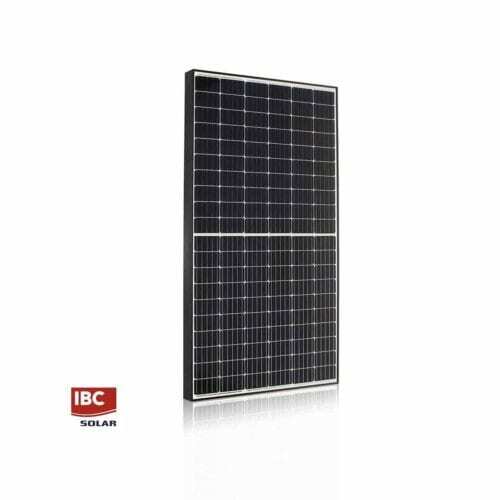 The IBC MonoSol 325 VL5-HC 325W Solar Panel is the most innovative solar module of the IBC series. Thanks to the new half-cut technology, you will reap the highest yields even when the module is in the partially shaded area. The module` extensive warranty service ensures that the module consistently surpasses market standards, enabling you to achieve long-term, predictable and optimal returns. In addition, IBC SOLAR provides you with a financially strong German guarantor, who can best secure your extensive and long-term warranty. IBC Solar is a Germany based photovoltaics specialist, offering solutions for sunlight-generated power. The company, established in 1982, offers tailored solutions, project management, consultation and planning of the photovoltaic installation. Founder and CEO of the company, Udo Möhrstedt, was named Entrepreneur of the Year 2009 in the trade category by Ernst & Young. IBC Solar has seven regional companies in Germany, the Netherlands, Turkey, South Africa, India, Japan and Singapore. In 2017, the company generated a consolidated global turnover of 344 million Euro. Their distribution network for solar products covers over 1.000 distributors and wholesalers, across over 30 different countries Join our ZERO Home Bills Community. The BEST solar panels from the BEST Solar Brands at the BEST Retail Prices for ZERO Home Bills on ZEROhomebills.com by Solaranna.